Diabetes is a common condition in the United States that can lead to serious complications. Christopher S. Hollenbeak, PhD, a professor in the Departments of Surgery and Public Health Sciences at Pennsylvania State University College of Medicine, is currently using hospital readmission data from the Pennsylvania Health Care Cost Containment Council (PHC4) to study and design an intervention to reduce hospital readmissions for various conditions with a primary focus on those with diabetes. In explaining the intervention process in more detail, Dr. Hollenbeak noted that the focus is to reduce readmissions for patients with diabetes by achieving optimal control of blood glucose while patients are in the hospital. Dr. Hollenbeak shared some of his study1 results, “We found that patients with diabetes were about 20% more likely to be readmitted compared to comparable patients without diabetes.” Dr. Hollenbeak noted that most of the readmissions were for diabetes-related complications, including infections, heart failure, and cardiovascular conditions, like myocardial infarction. Among those with diabetes, there were several other factors associated with an increased risk of readmission including being transferred from another hospital, having an urgent or emergent procedure, and having numerous comorbidities. Patients with any of these occurrences were at greater risk of readmission. One surprising result noted by Dr. Hollenbeak was that longer hospital stays were associated with an increased risk of readmission. 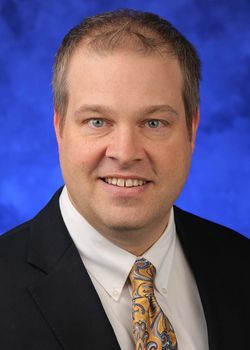 He added, “I frequently hear discussions about reducing readmissions that suggest keeping a patient in the hospital just a little longer so that the condition that will eventually cause the readmission can be caught in the inpatient setting, and our results say this may not be helpful.” Dr. Hollenbeak plans to extend this work by studying and publishing trend findings. 1Risk factors associated with 30-day readmission and length of stay in patients with type 2 diabetes, published in Journal of Diabetes and Its Complications, 2017 Jan;31(1):122-127. Chris Hollenbeak is a professor in the Departments of Surgery and Public Health Sciences at Pennsylvania State University College of Medicine. He is also chief of the Division of Outcomes Research and Quality in the Department of Surgery. Dr. Hollenbeak teaches graduate courses on health economics and decision analysis. Nationally recognized for his work in health economics and outcomes research, his publications have appeared in more than 200 articles in major journals. Much of his research is at the nexus of surgery and economics. In previous research he has estimated the cost of surgical site infections following coronary artery bypass graft surgery and liver transplantation, studied the cost-effectiveness of diagnostic and screening techniques for head and neck cancer, estimated the incidence of malignant melanoma among kidney transplant recipients, and the impact of comorbidities on cost of medical care for patients with head and neck cancer. He has also published papers extending statistical methods to estimate the cost of healthcare acquired infections. His research appears in journals such as the New England Journal of Medicine, Annals of Internal Medicine, and Cancer.